At Macau Casino Cork we show across the complex all major sporting events through out the world. 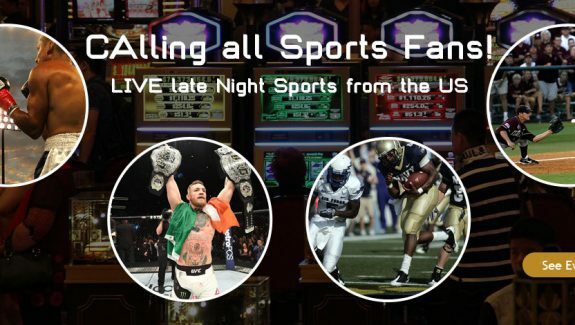 Our sports coverage covers soccer, American Football, boxing, MMA, Basketball, Snooker and much more. Our venue is open til 6am so a great place to watch all US Sports Live.